The Simpsons holds the title as the longest-running scripted series in history and has earned more 32 Emmy Awards and 34 Annie Awards. 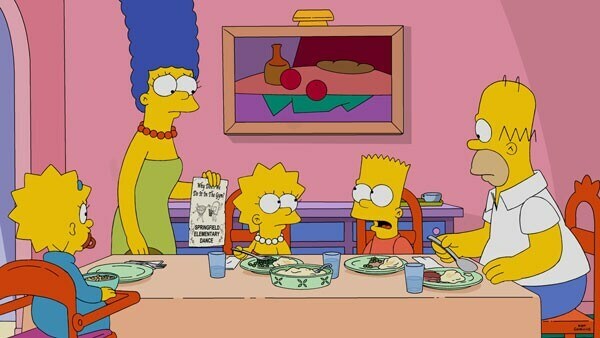 The current season is averaging 7.2 million viewers and recently aired its 600th episode. The voice cast includes Dan Castellaneta (Homer Simpson, Krusty, Barney), Julie Kavner (Marge Simpson, Patty, Selma), Nancy Cartwright (Bart Simpson, Nelson), Yeardley Smith (Lisa Simpson), Hank Azaria (Moe, Apu, Chief Wiggum), and Harry Shearer (Mr. Burns, Smithers, Ned Flanders).